Grange Lilleshall Trellis: W1.83m x H900mm. 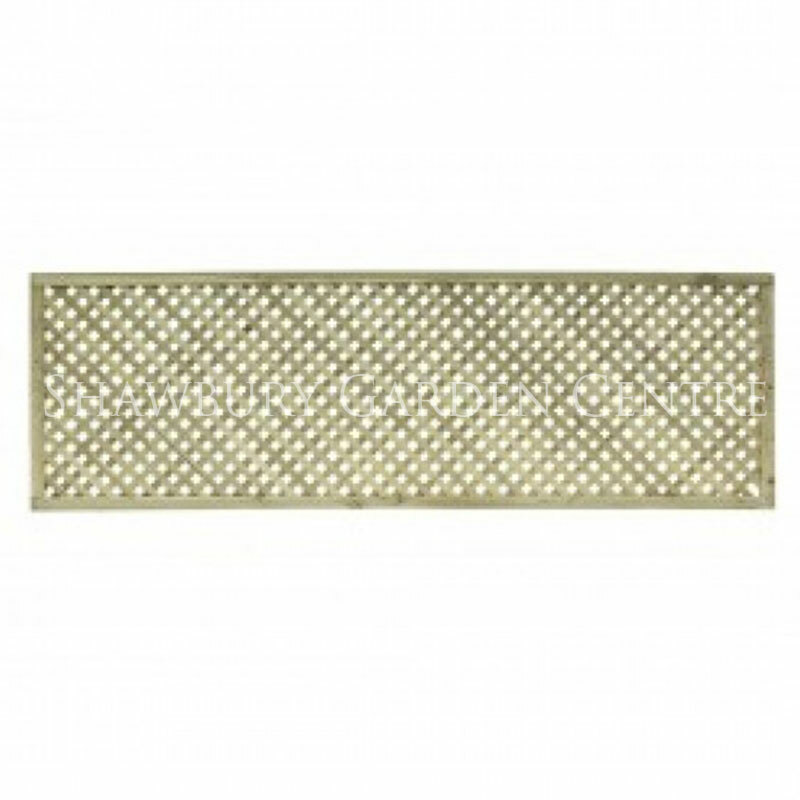 If you are looking for an effective privacy screen for you garden, Lilleshall Trellis has small 20mm gaps between the tight lattice pattern and therefore provides privacy with the added highly decorative finish. Why not visit Shawbury Garden Centre and see a selection of the Grange Garden Structures & Wooden Planters currently on display.